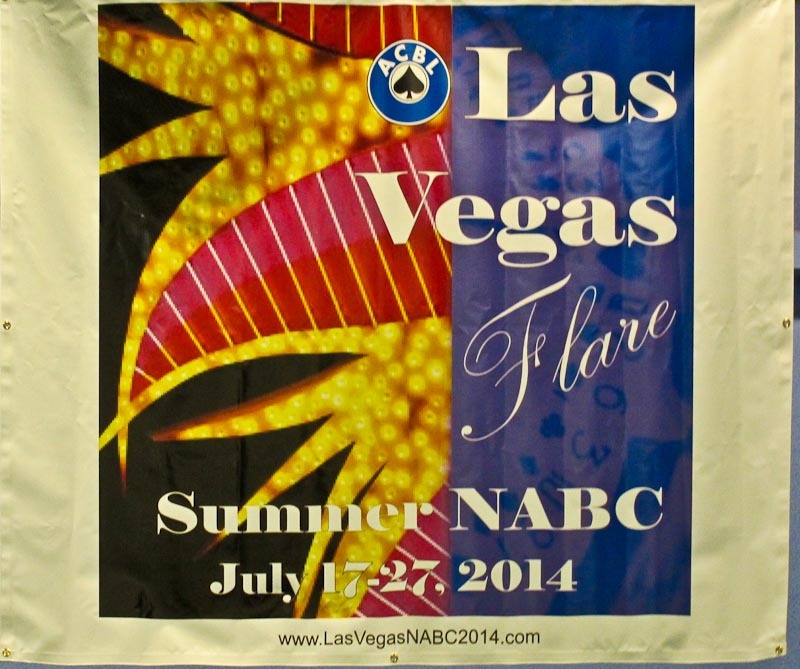 At any NABC, the walls are decorated with banners advertising the upcoming NABC’s. This is the banner for the Vegas nationals in 2014. Bridge players are an educated and intelligent lot. How did this get produced? What is the meaning of the word “Flare”? Why is it here? Is the tournament going to flare up like a grease fire in a dirty kitchen? Is it going to flare out like a pair of bell bottom pants from the ’60s? Is this an emergency flare seeking help from a competent graphic artist? Do they really mean “Flair” as in stylish or chic? Vegas is a crass, tacky and tasteless town; that’s why we love it. But it’s usually a competent crass, tacky and tasteless town. This banner fails to meet that standard, and makes me worry about how the entire event will be run.